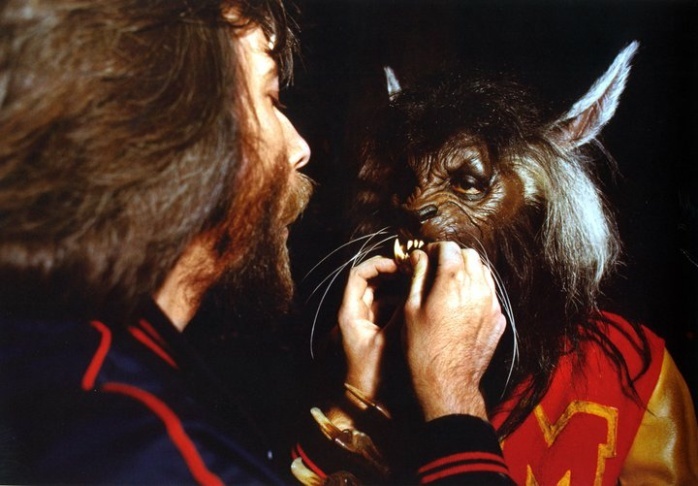 Rick Baker helps Michael Jackson fit teeth into his special makeup appliance. 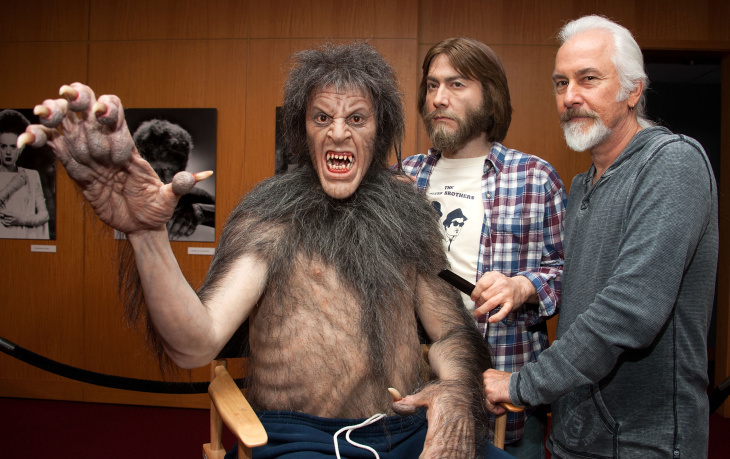 Make-up artist Rick Baker attends The Academy of Motion Picture Arts and Sciences' screening of "The Wolf Man" and "An American Werewolf In London" at AMPAS Samuel Goldwyn Theater on October 9, 2012 in Beverly Hills, California. 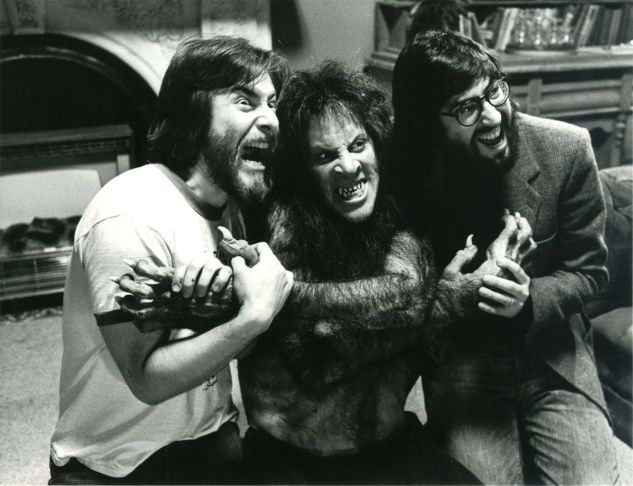 Rick Baker (L), director John Landis (R) and actor David Naughton on set of "An American Werewolf In London." 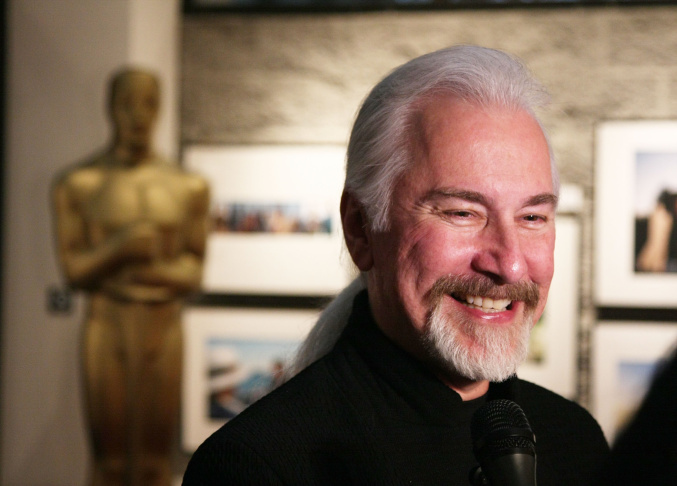 Rick Baker attends the Oscar Makeup Cocktail Party at the Samuel Goldwyn Theater on February 23, 2008 in Los Angeles, California. 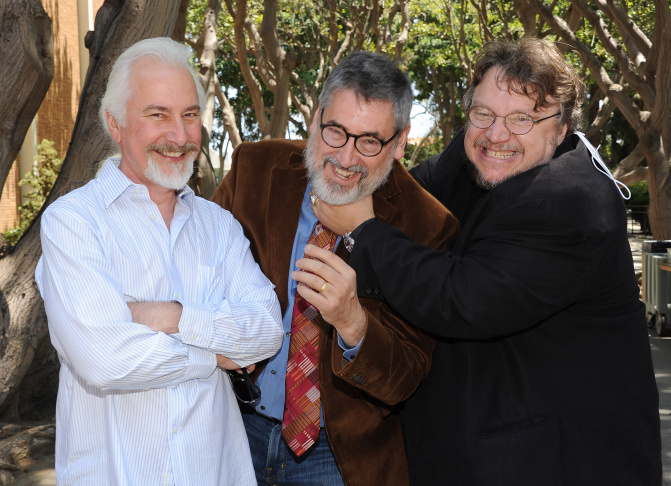 (L-R) Make-up artist Rick Baker, director John Landis and director/producer Guillermo del Toro attend the 2011 UCLA Festival Of New Creative Work - Animation Prom at James Bridges Theater at Melnitz Hall on the UCLA campus on June 4, 2011 in Los Angeles, California. 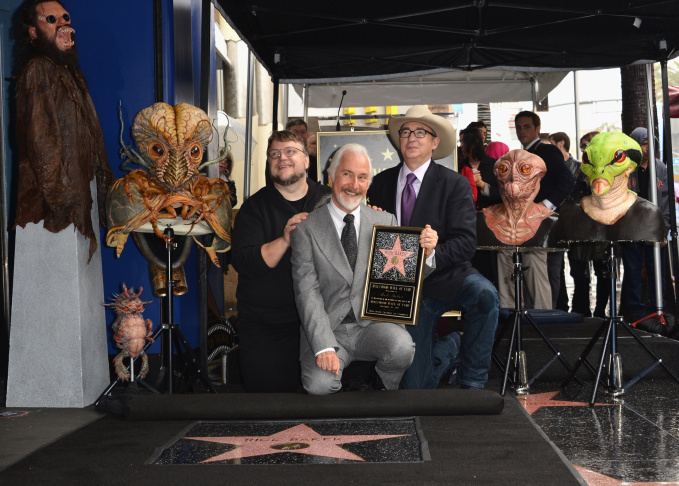 Producer Guillermo del Toro, make-up artist Rick Baker and director Barry Sonnenfeld attend a ceremony honoring Rick Baker with the 2,485th star on the Hollywood Walk of Fame on November 30, 2012 in Hollywood, California. In the music video for "Thriller," Michael Jackson leads a group of 30 or so zombies in an epic choreographed dance in an industrial part of Los Angeles. Jackson was a huge fan of the 1981 film "An American Werewolf in London," so he wanted his next video to be essentially a short film where he’d turn into a monster. Baker worked with Thriller director John Landis on "An American Werewolf in London," and he was brought on to transform Jackson. Seeing the Thriller dance live for the first time, it was amazing, Landis said you're going to be known more for this than anything you do, and I just said no you're crazy. But that is one thing when people say oh what do you do for a living, I'm a makeup artist have you done anything that I've seen? I know that if I say Thriller they've seen it. But you’ve likely seen a lot more of Baker’s work, without even realizing it. Since the early ‘70s, he’s been responsible for some of the most iconic creatures and special effects in Hollywood, from "The Gremlins" to the apes in the 2001 Tim Burton "Planet of the Apes" to an army of alien bug creatures for the "Men In Black" franchise. Not to mention his work in classics like "Star Wars: Episode IV" and the 1976 version of "King Kong" starring Jessica Lange and Jeff Bridges. I was 25 years old and I actually played King Kong...I built the suit and played King Kong because they couldn't find anyone else stupid enough to wear the suit. In total, Baker’s been nominated for 12 Academy Awards and has won seven. But despite considerable success, he is now retiring from show business. I said the time is right, I am 64 years old, and the business is crazy right now. I like to do things right, and they wanted cheap and fast. That is not what I want to do, so I just decided it is basically time to get out. I would consider designing and consulting on something, but I don't think I will have a huge working studio anymore. 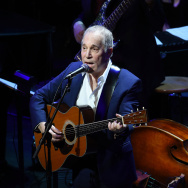 With long white hair pulled back into his trademark ponytail, Baker is soft spoken with a kind face and demeanor that belies the often ghastly creatures he creates. But he’s also known for creating animatronic apes for films like "Mighty Joe Young" and "Gorillas in the Mist." For the latter film, Baker created incredibly lifelike gorilla suits that could be spliced in with real gorilla footage in the film. At the time, audiences had no idea they were puppets. Until last year, Baker maintained a 60,000-square-foot facility in Glendale called Cinovation Studios, where he designed, molded and stored his designs. He employed a small team of likeminded makeup artists and designers. 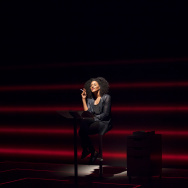 But as the industry began to increasingly favor computer effects over practical effects, like makeup, Baker found himself maintaining a space the industry no longer needed. He also had to lay off his staff. The building was great when I was doing 'How the Grinch Stole Christmas', or 'Planet of the Apes', but the industry has changed. Big make-up films don't seem to exist anymore, and I was hoping that something would come along. I did 'Men in Black 3', which was good for that, but the last film I did was 'Maleficent' and I could've done that in a garage basically. 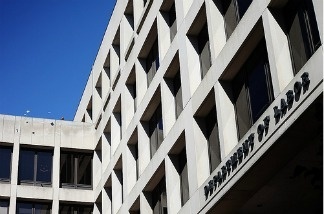 Baker sold the building in 2014, and started the long process of finding a home for the various masks, animatronic gorilla heads and puppets he’s amassed over the years. He recently hired a company called The Prop Store to help him auction off the majority of his collection. 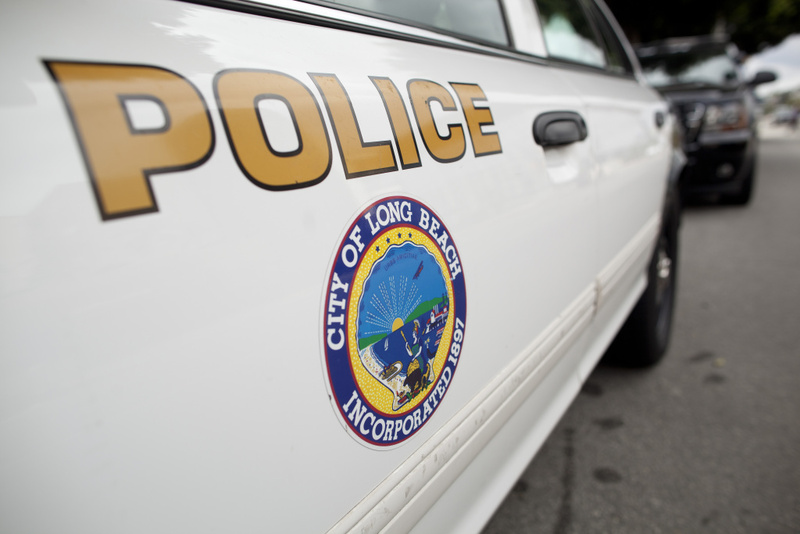 The auction will take place at the Universal City Hilton on May 29. The Prop Store guys come from a background of being like fan boys, and they have an appreciation for what this stuff is, and it wasn't just about how much money they were going to get out of it. I liked that, and they seemed like really decent people. The people that bought the building are actually making a storage unit out of it, and they are totally tearing out all of the custom stuff that we did...It was weird because it was a big empty building when I bought it, then I made it my own, and it was pretty cool. It is sad that it isn't going to exist again. Nobody will be as stupid as I was to build this giant castle to make monsters in. Baker says will continue to make monsters, only it will be on his terms this time (check out his Twitter account for some of his latest creations). 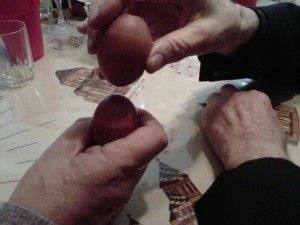 I do all kind of crazy things. I paint, I sculpt, and I do digital models. This part of my life now I am basically retiring from the film industry and looking forward to just doing what I want to do.